Our dedicated personalized service begins with an honest, warm welcome, an explanation of the city and all information suited to your liking. 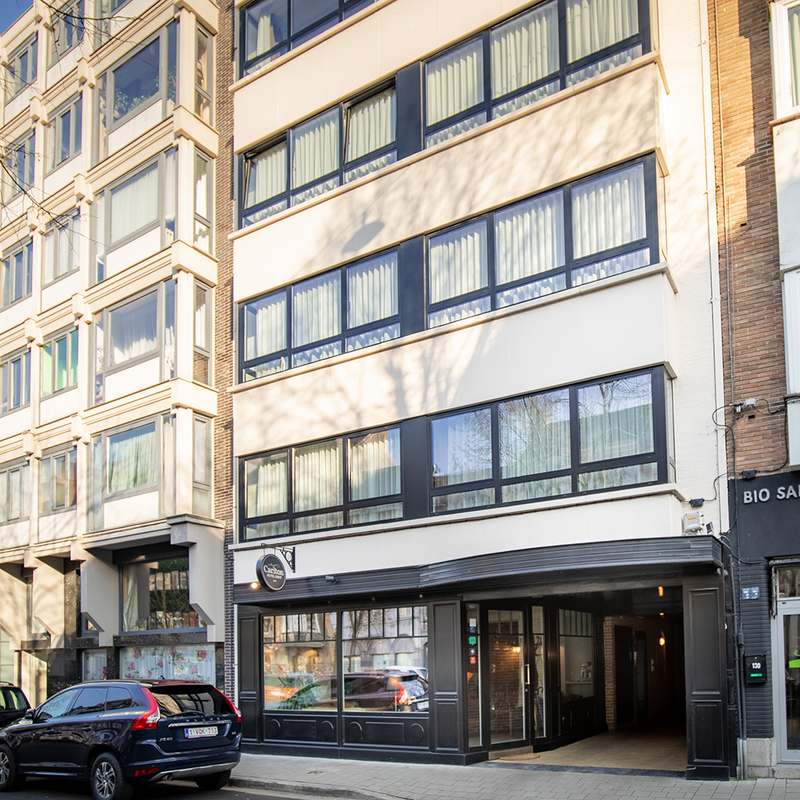 Our team is here to help make your stay in Ghent as good as possible. 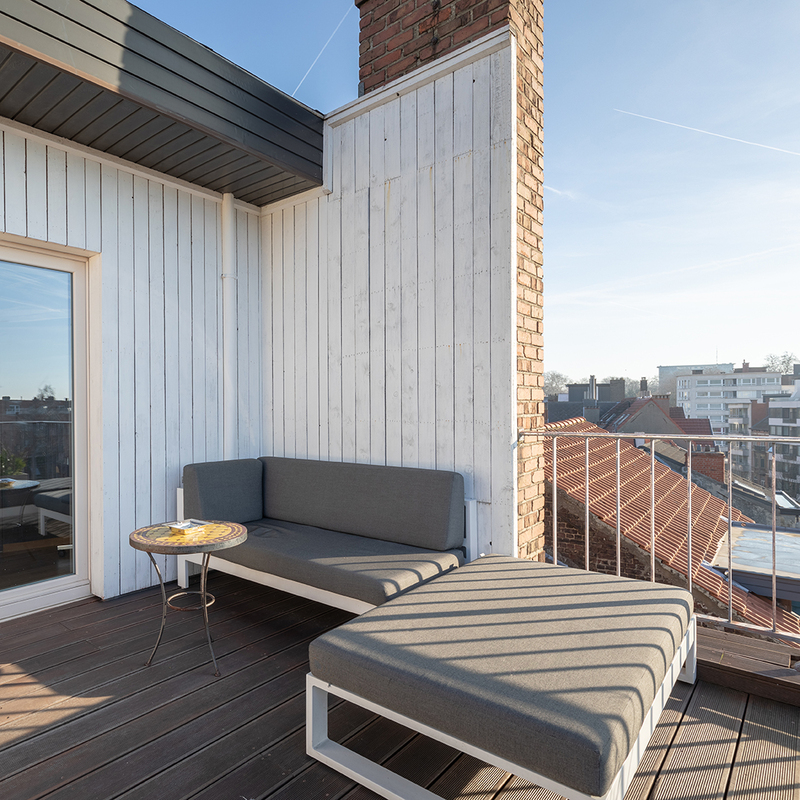 Ghent is an exciting and vibrant city and we want you to experience it as locals do! 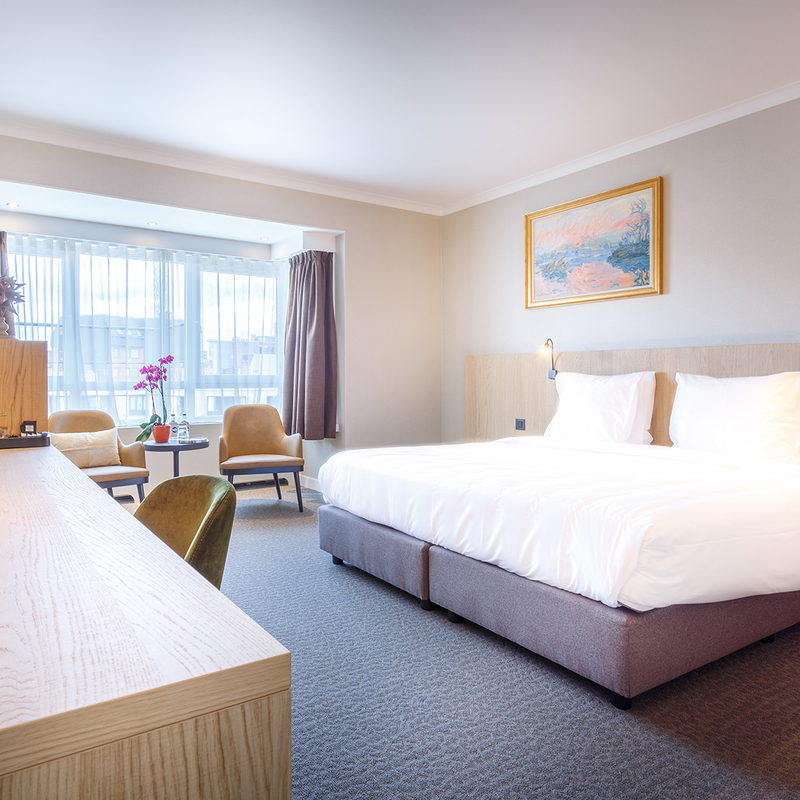 Carlton hotel is nearby the main train station of Ghent and has easy access to all the highlights of Ghent. 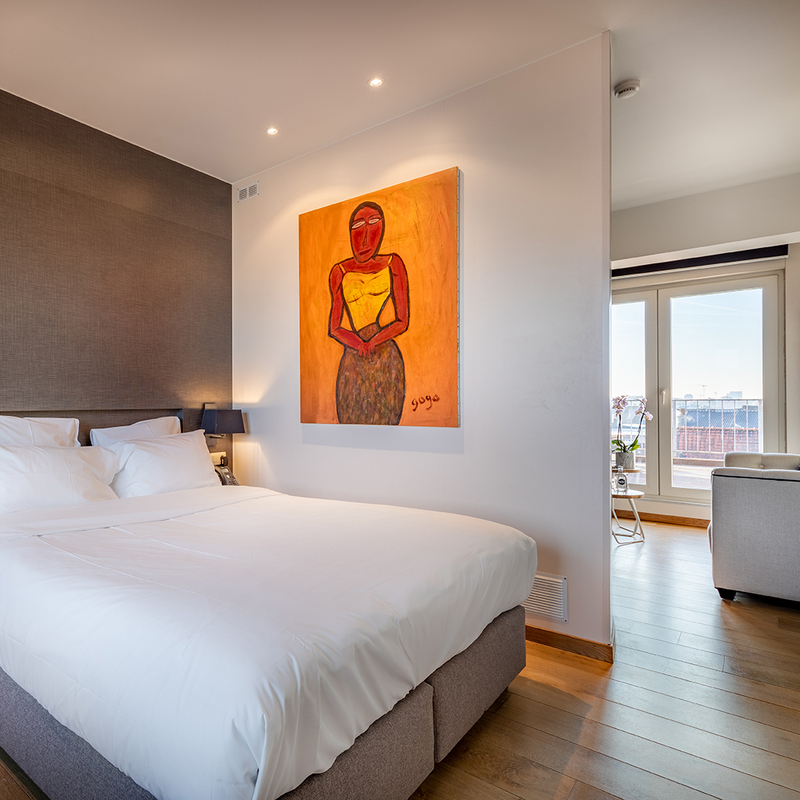 Our deluxe rooms are on our top floor and have a 12m² terrace. 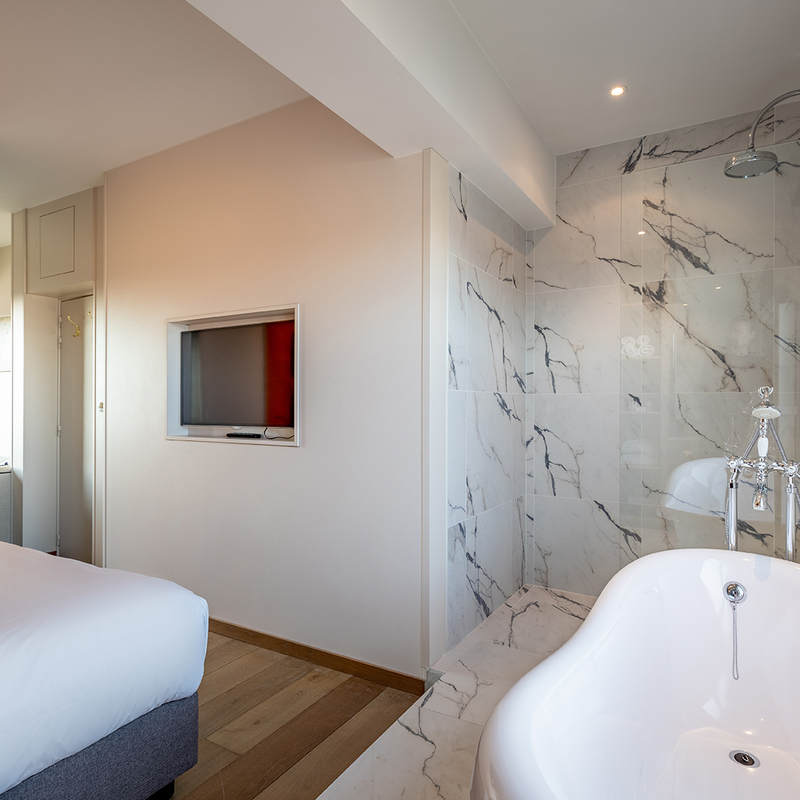 Each deluxe room comes with a shower and tub in an open bathroom, free Wi-Fi, 2 flat-screen TV’s and a mini-bar. 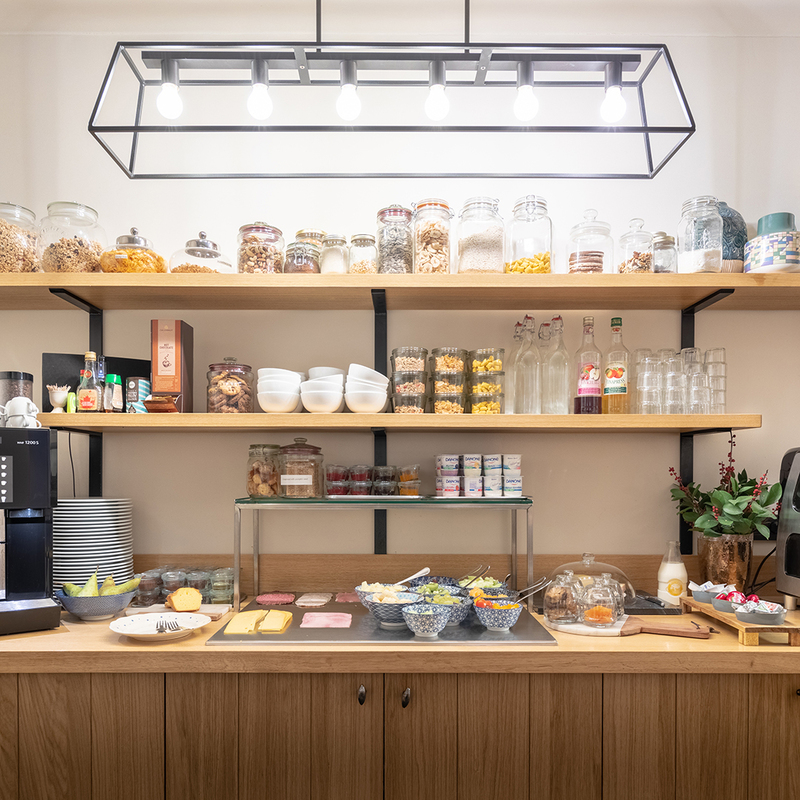 There’s also a kettle and unlimited use of bottled water, Nespresso coffee and Dammann tea. Our deluxe double room has a queen size bed. Our classic rooms are on a high floor. They have been completely refurbished to high standards. 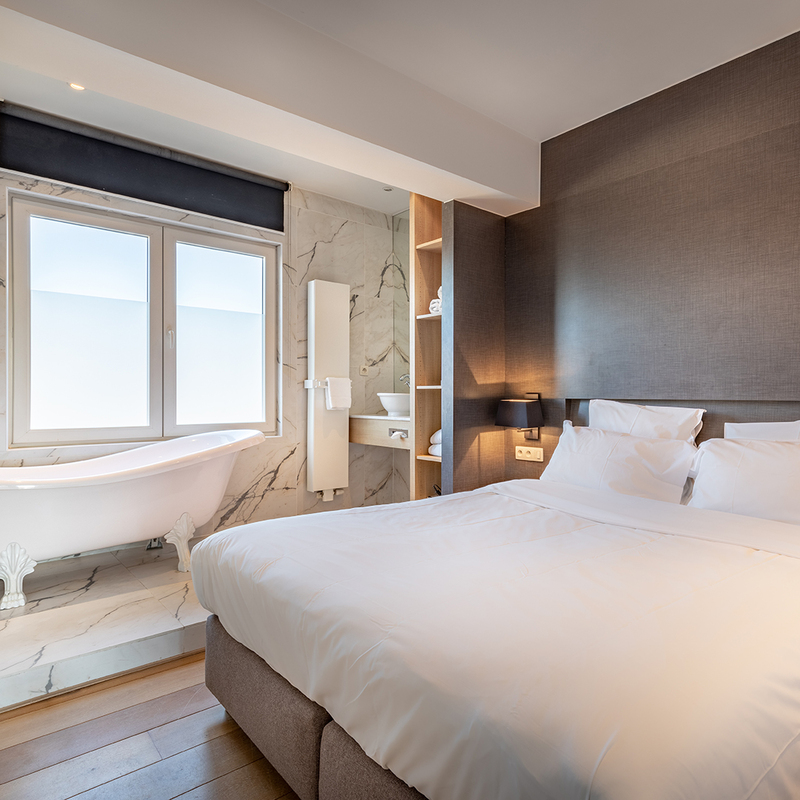 Each classic room comes with a shower or bath, free Wi-Fi, flat-screen TV and a mini-bar. 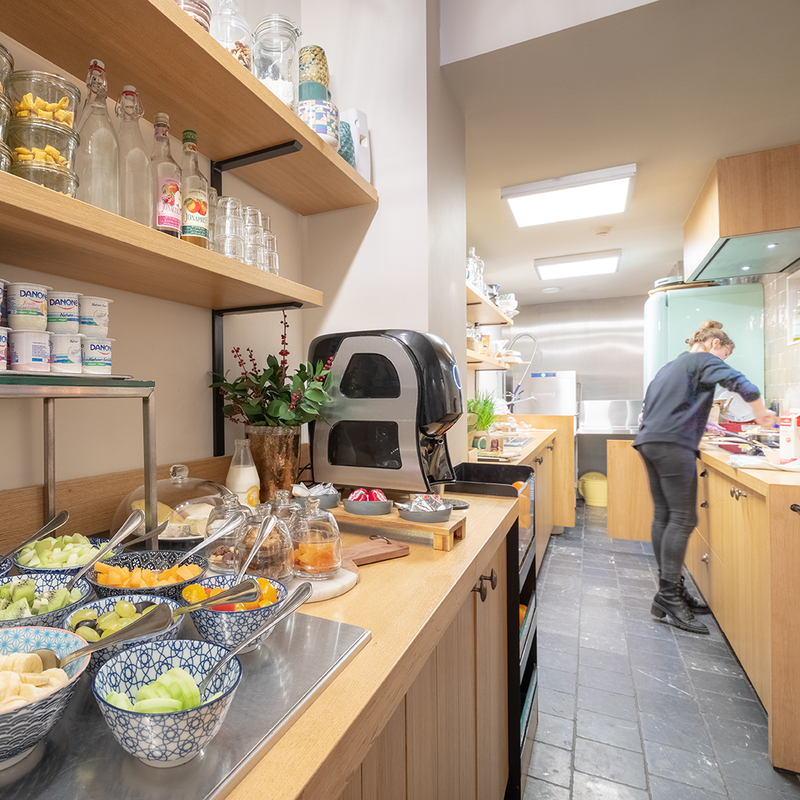 There’s also a kettle and unlimited use of bottled water, coffee and Dammann tea. 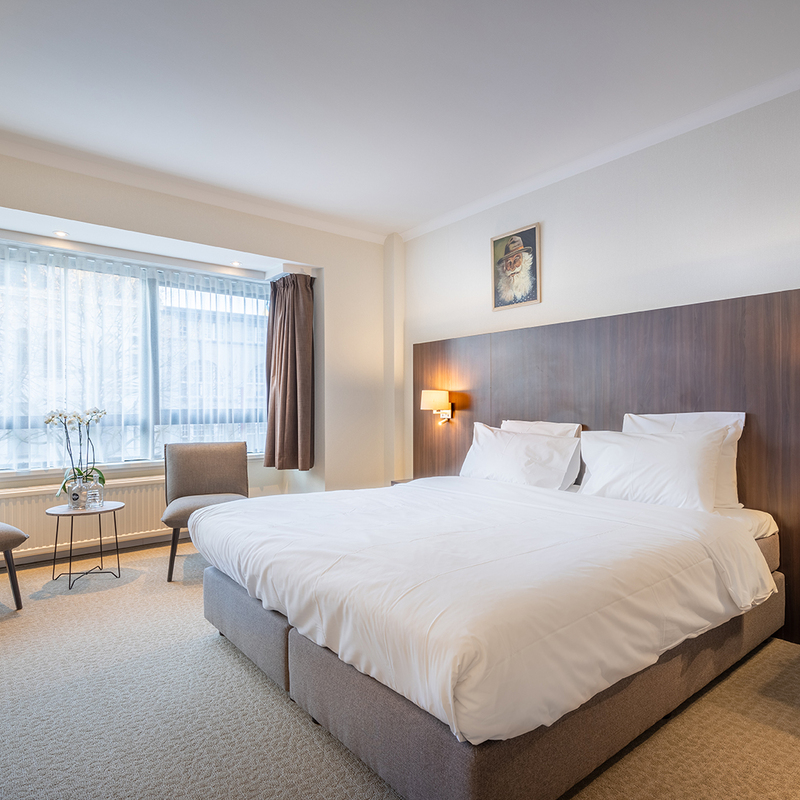 Our classic double room has a king size bed. 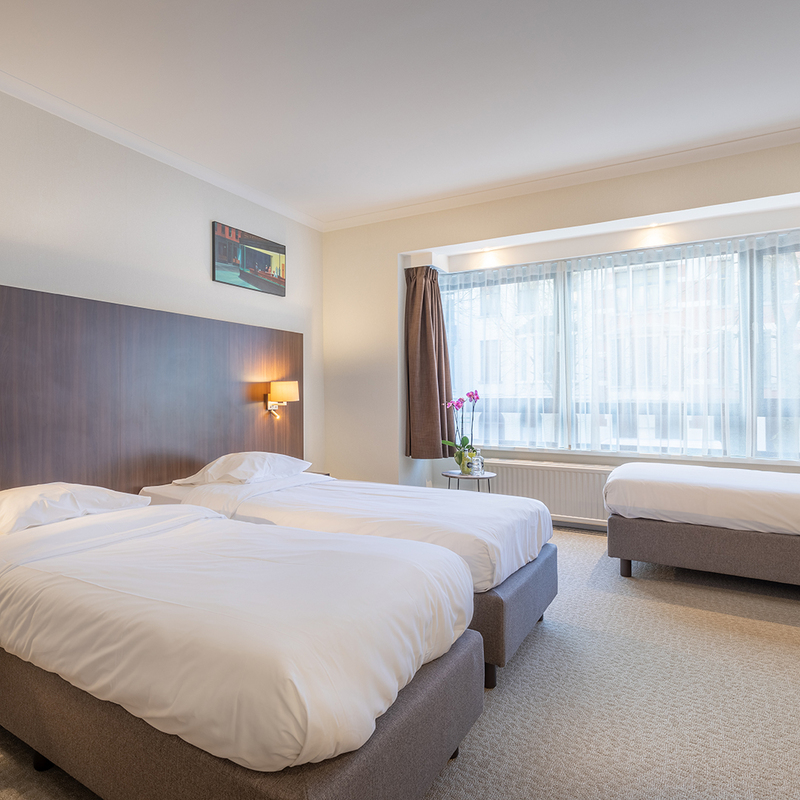 The classic twin room has 2 separate beds. 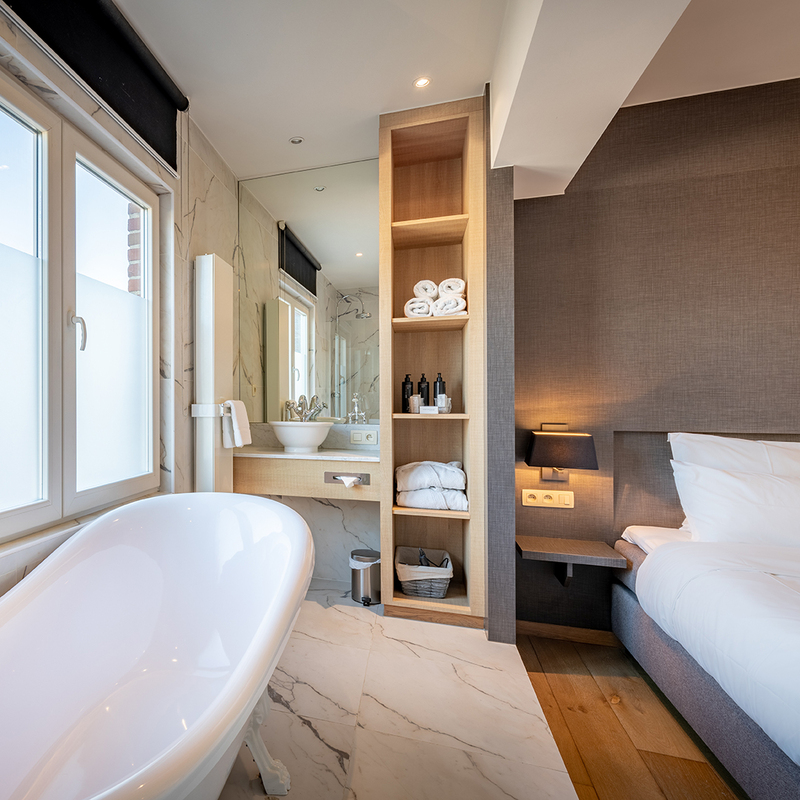 Each private standard room comes with a shower or bath, free Wi-Fi, flat-screen TV and a mini-bar. 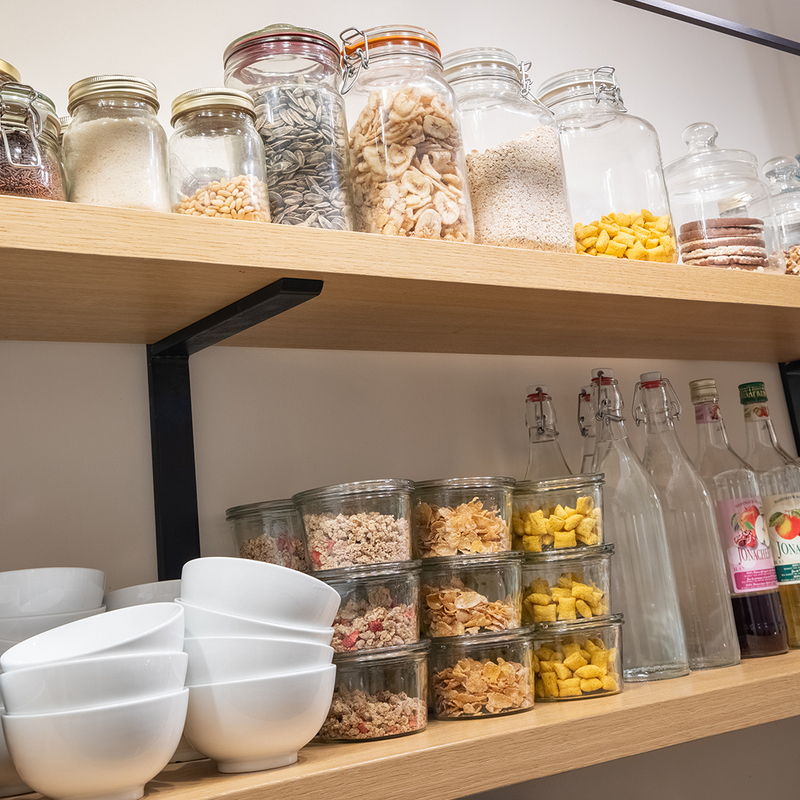 There’s also a kettle and unlimited use of bottled water, coffee and tea. 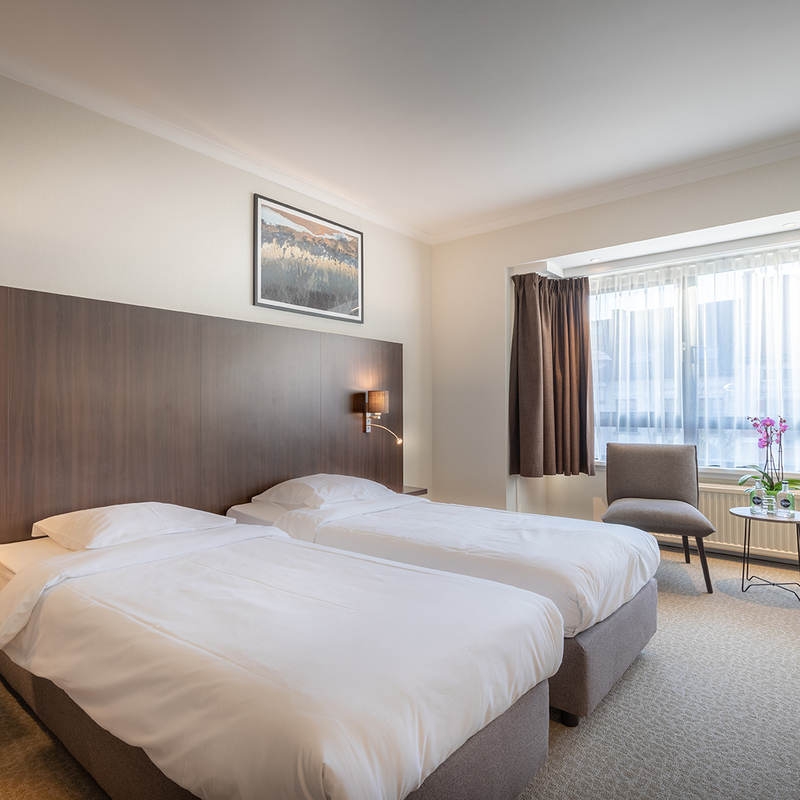 The standard double room has a king size bed, the standard twin room has 2 separate beds and the standard triple room has 3 separate beds. 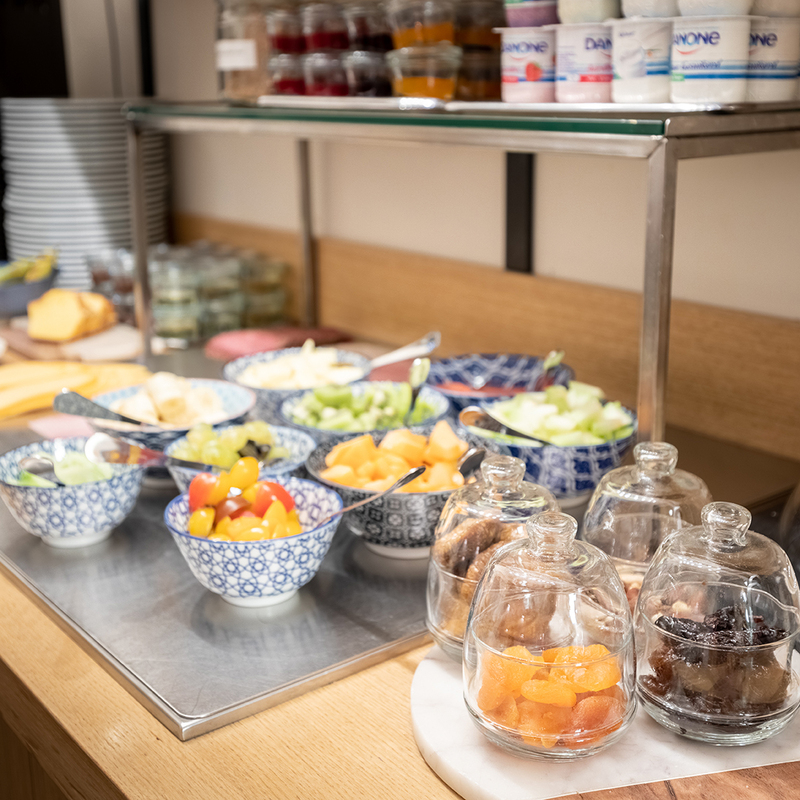 Treat yourself to a delicious breakfast buffet. From juices to cereal, fresh fruit to yoghurt. If you’d like scrambled or fried eggs, with or without bacon, we’ll make all our warm preparations at the spot. We also offer sausages, röstis, oatmeal and pancakes. Glutenfree and vegan breakfast is also possible. 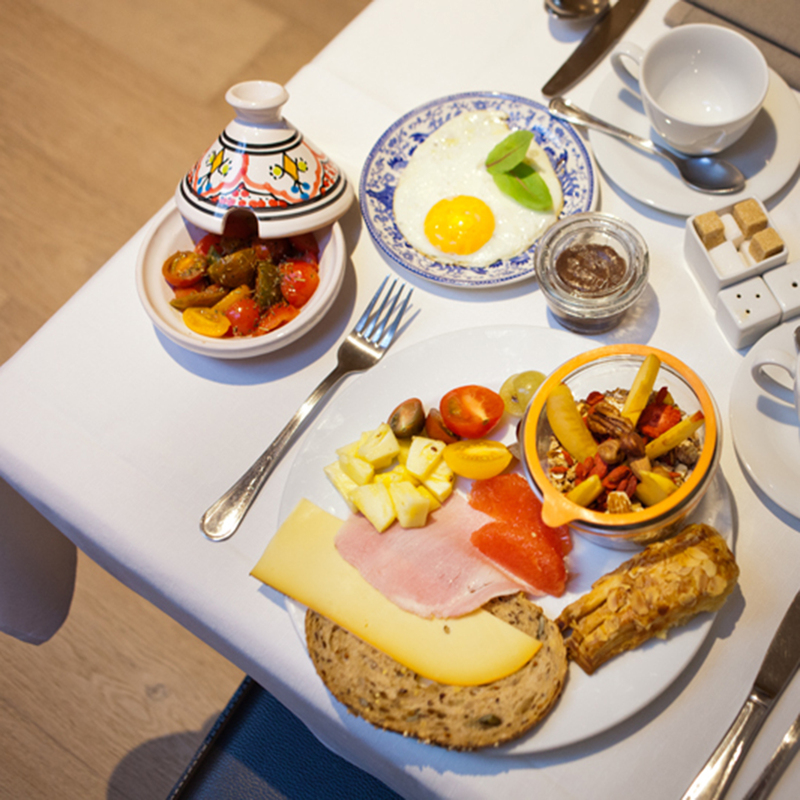 Weekdays breakfast is available from 7am till 10am and weekends from 8am till 11am. Reception is open every day from 7am till 11pm to help you with all your questions. 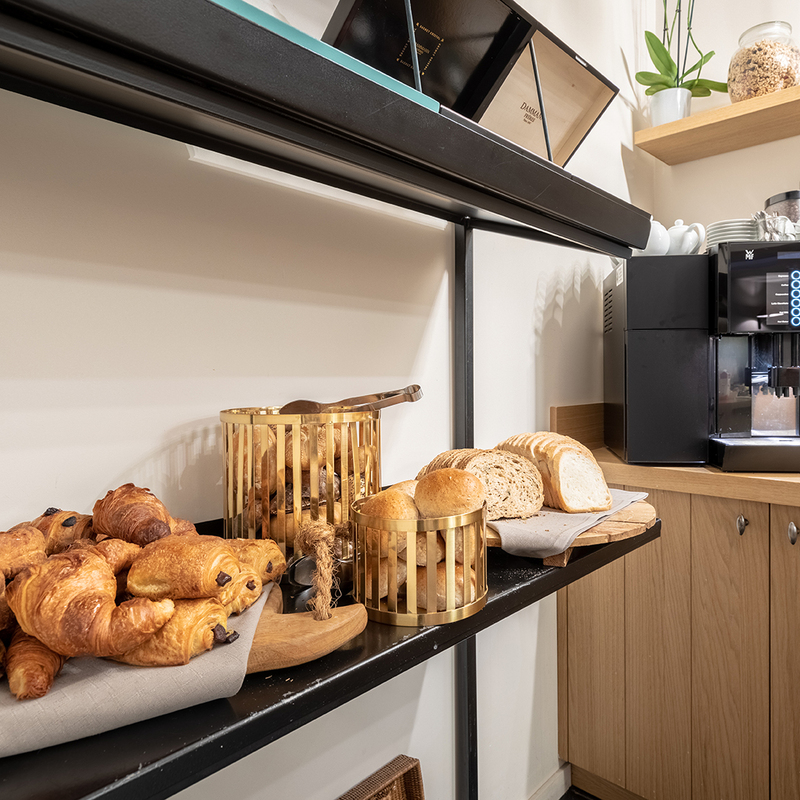 Enjoy a cup of coffee and free Wi-Fi in our lobby or your room. Make use of our daily housekeeping. 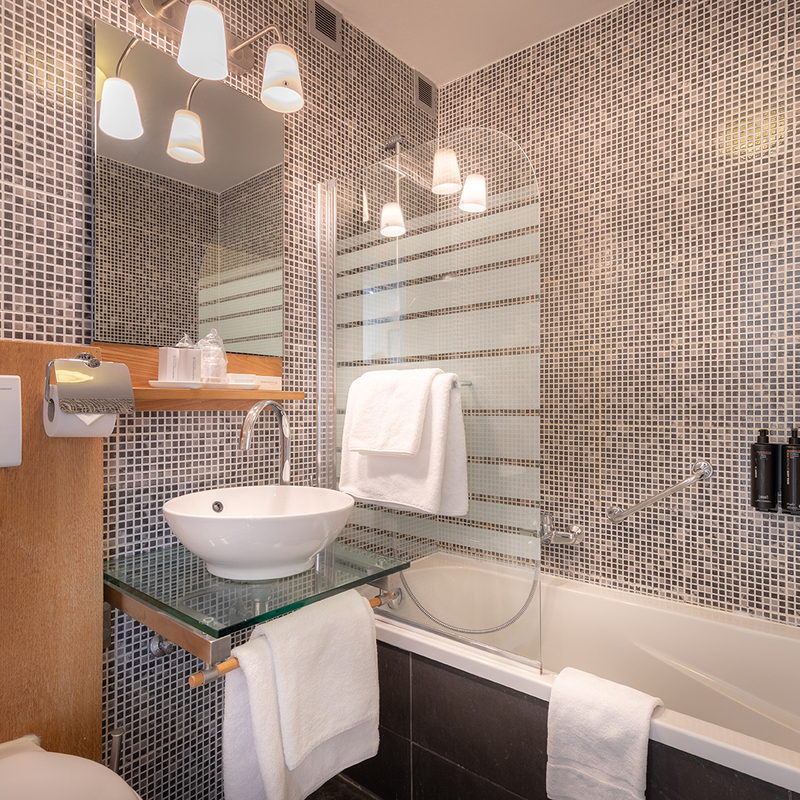 Your room will be freshened up and all bath amenities re-filled. In need of laundry? We wash and dry your clothes for a small fee. 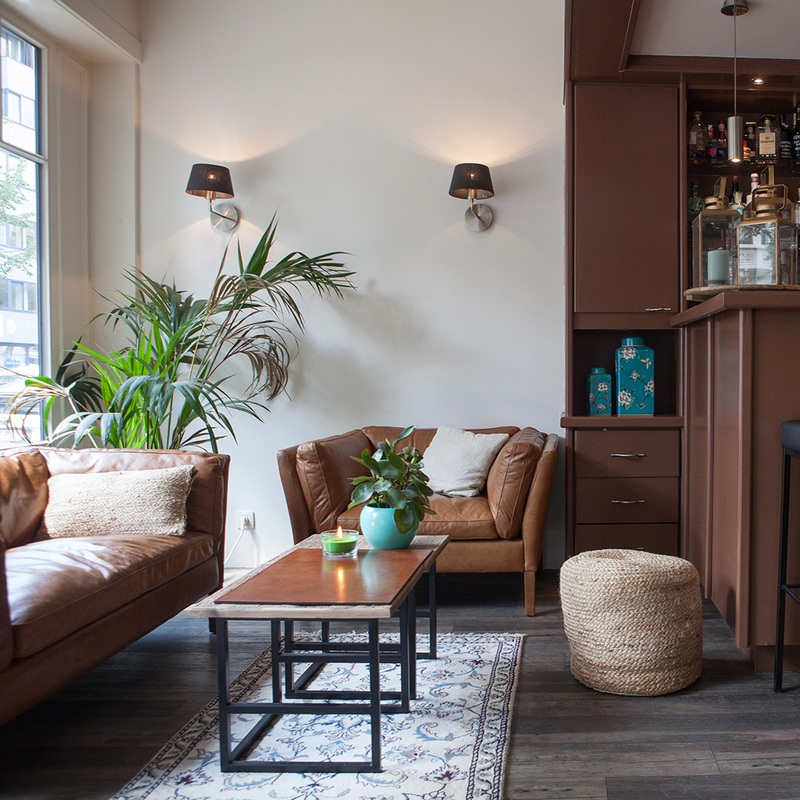 We’ve got all information you need to start exploring Ghent. At check-in we give you a free citymap and cityguide. Our official check in time is from 15.00h to 23.00h. If you plan to arrive after 11pm please contact us before via e-mail. This will allow us to properly forward instructions on how to enter the hotel after closing time. You can also store your luggage before arrival time and we will make sure it is placed safely in your room. Free luggage storage on your check-out day is possible. 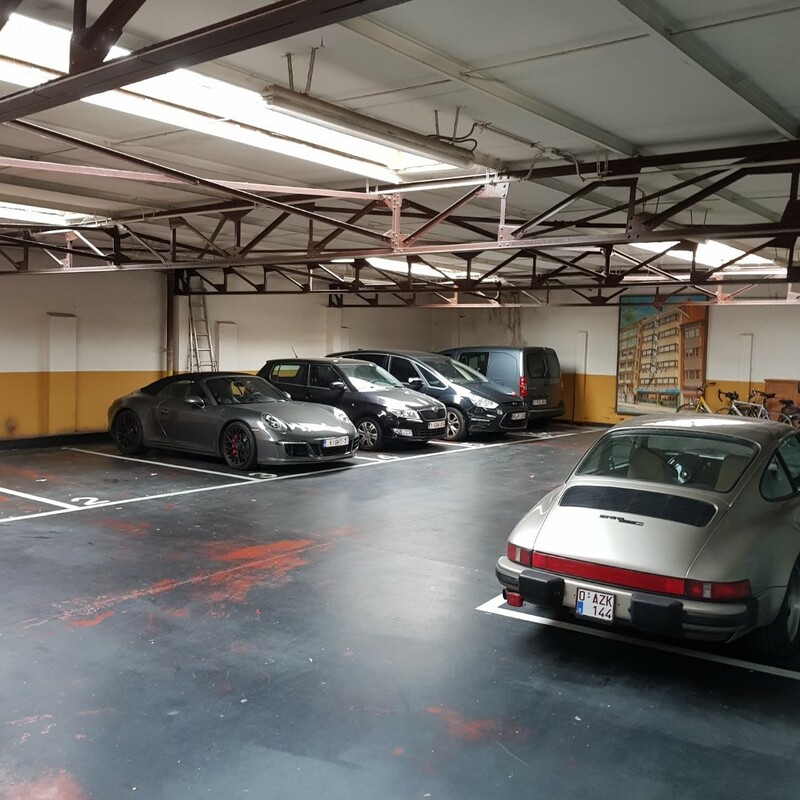 If you prefer a spot in our private garage, please make reservations in advance since availability is limited. The fee is €12 per night for a spot. Your dog is more than welcome! At request we can put a dog basket ready in your room, free of charge. Your reservation can be cancelled free of charge until 24 hours before arrival (15h, local time).If you need to cancel less than 24 hours prior to arrival (local time, 15h) the first night will be charged.In case of a cancellation on the day of arrival, we will be forced to charge you for the first night.In case of no-show we will be forced to charge you for the entire stay. 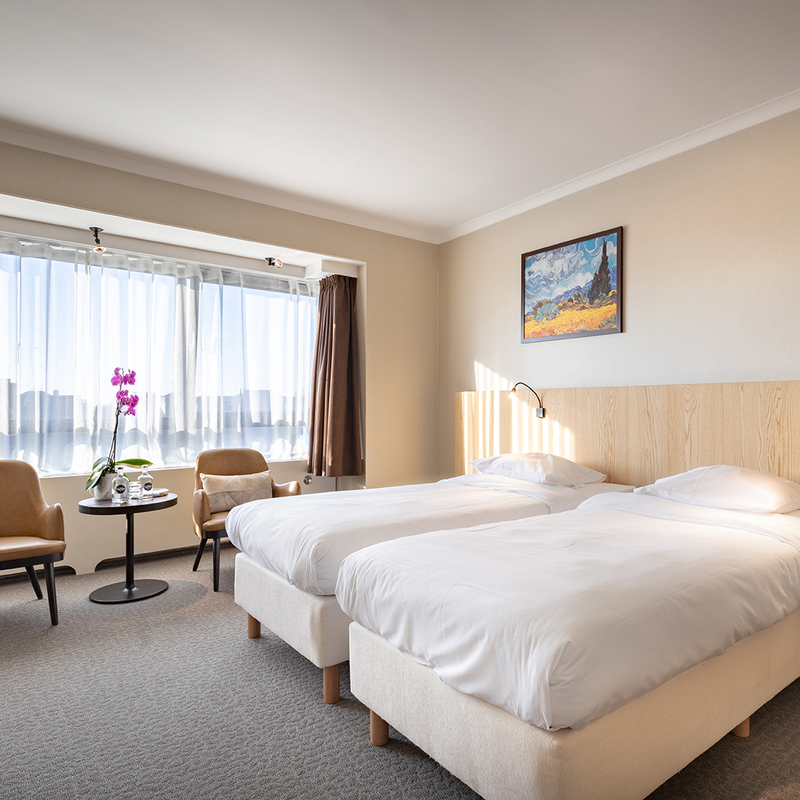 You can settle your stay at the hotel in cash or with a debit / credit card (Maestro, Visa, Mastercard or American Express).Please note that a pre-authorization is performed 5 days prior to arrival to check the validity of the provided credit card. A pre-authorization is a validity check to reserve a certain amount that guarantees the reservation. This amount corresponds to the total cost of your reservation. When the pre-authorization fails, we will be forced to cancel your reservation. 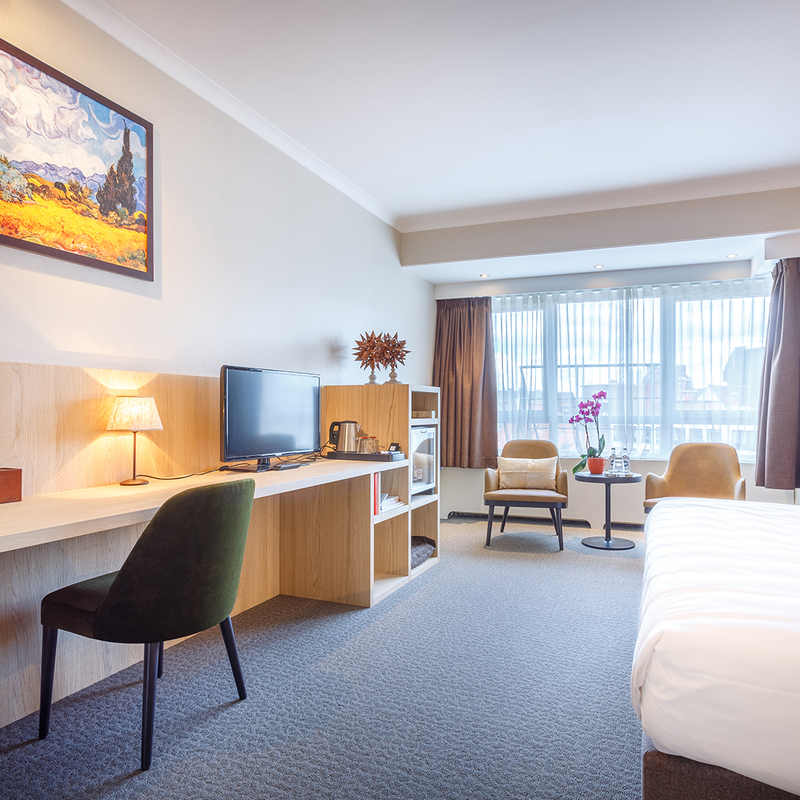 Due to the nature of our online site, and the services listed, we Hotel Carlton have a strict NO RETURN policy for any service. No service shall be able to be returned for a like item, or for a cash refund. Your privacy comes first. 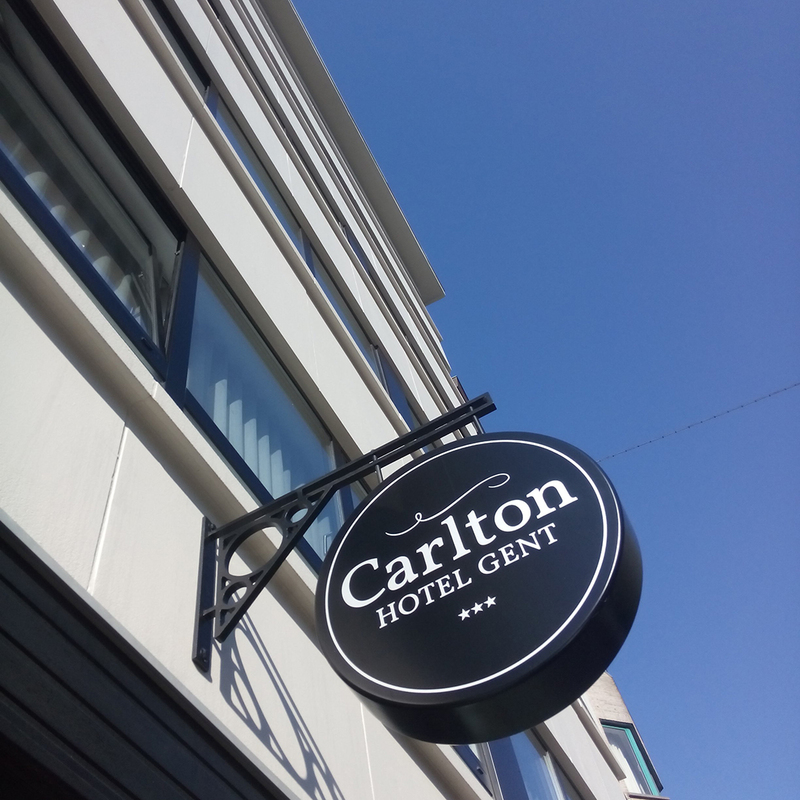 This privacy statement applies to 1) our website www.carltongent.be (hereinafter referred to as the "Website") and 2) to all (commercial) relationships between Carlton hotel and its customers, prospects and business partners. Carlton hotel always tries to act in accordance with the Belgian Privacy Act of 8 December 1992 for the protection of privacy with regard to the processing of personal data and on the other hand the EU Regulation of 2016 concerning the protection of natural persons with regard to the processing of personal data concerning the free movement of such data and repealing Directive 95/46 / EC, better known as GDPR. This Privacy Statement contains, among other things, information about the personal data that Carlton hotel collects, as well as the way in which Carlton hotel uses and processes this personal data. Visiting the Carlton Hotel website implies your explicit approval (by means of communication of your personal data or e-mail confirmation (opt-in)) of the Privacy Statement and thus of the way in which we collect, use and process your personal data. Carlton hotel also automatically collects anonymous information regarding the use you make of the Website. For example, Carlton hotel will automatically log which parts you visit from the Website, which web browser you use, which website you visited when you got access to the Website, and what your IP address is. We can not identify you on the basis of this information, but it allows Carlton hotel to compile statistics on the use of the Website, as well as to provide more targeted communication. 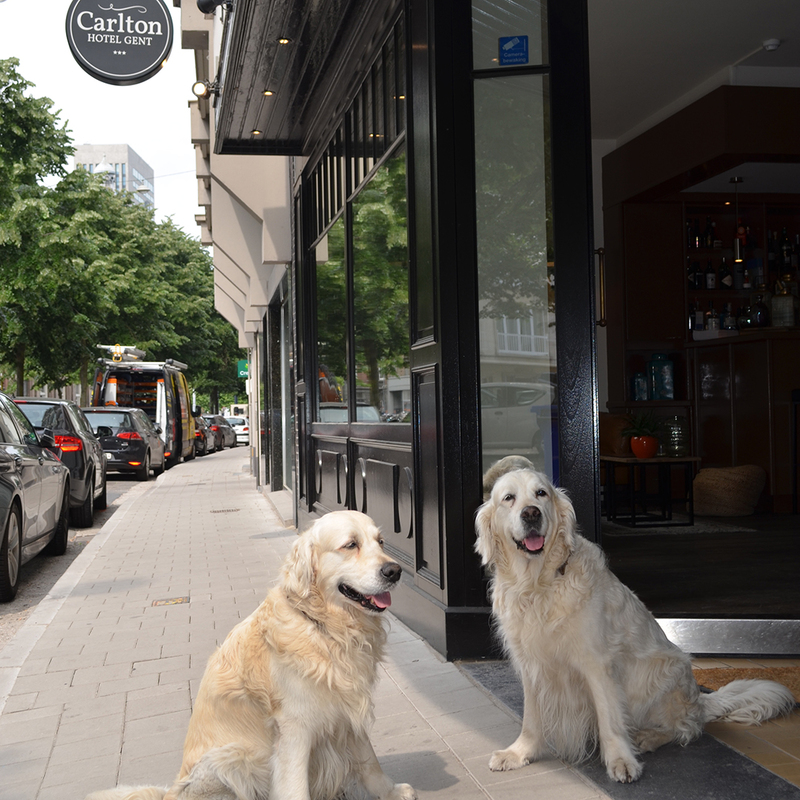 The personal data collected by CARLTON HOTEL are thus expressly and voluntarily provided by you. CARLTON HOTEL will not disclose your personal information to third parties unless it is necessary for the provision of the services of CARLTON HOTEL and the optimization thereof (such as but not limited to maintenance work, payment processing, database management). If it is necessary for CARLTON HOTEL to disclose your personal information to third parties in this respect, the third party in question is obliged to use your personal data in accordance with the provisions of this Privacy Statement. • With a view to detecting similar profiles such as yours, unless you have explicitly opposed this. • In all other cases, Carlton hotel will not sell, rent or pass on your personal data to third parties, unless it has obtained your permission (1) and (2) has concluded a data processing agreement with the third party concerned, which contains the necessary guarantees. regarding confidentiality and privacy conformity of your personal data. Unless a longer retention period is required or justified (1) by law or (2) by compliance with another legal obligation, Carlton hotel only stores your personal data for the period necessary for the achievement and fulfillment of the goals, as described in the Privacy Statement under 'use personal data'. • Right of objection / opposition to the processing of your personal data. You can in principle exercise these rights free of charge. You can also use your account to update, change and / or verify your personal data - which you had to provide when you created your account. Carlton hotel undertakes to take reasonable, physical, technological and organizational precautions with a view to preventing 1) unauthorized access to your personal data, as well as 2) loss, misuse or alteration of your personal data. Carlton hotel will store all personal data it has collected in a secure environment. Notwithstanding Carlton's security policy, the controls it carries out and the actions it imposes in this context, an infallible level of security cannot be guaranteed. 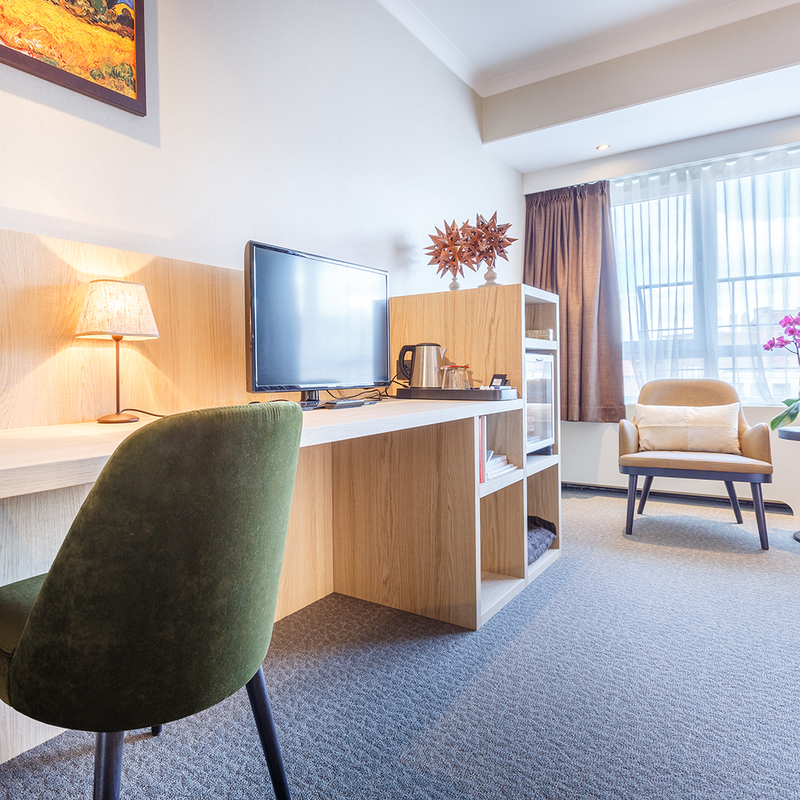 No method of transfer or retransmission via the Internet nor any method of electronic storage is 100% secure, so CARLTON HOTEL cannot guarantee absolute safety in this context. Finally, the security of your account will also depend on the confidentiality of your password. CARLTON HOTEL will never ask for your password, so you are not obliged to communicate this yourself. If you have communicated your password to a third party - for example because this third party has indicated that you will provide additional services - this third party will gain access to your account and your personal data via your password. In that case you are personally responsible for the actions that are taken by the use made of your account. CARLTON HOTEL strongly advises you when you determine that someone has taken up your account to change your password immediately and contact us. CARLTON HOTEL is entitled to update this Privacy Statement by posting a new version on the Website. It is advisable to consult regularly the Website and the relevant page on which the Privacy Statement is displayed, to be sure that you are aware of any changes. If you have complaints regarding the way CARLTON HOTEL collects, uses and / or processes your personal data, you can submit a complaint to the Privacy Commission. • You may provide us with personal information regarding training, employment, contacts, preferences, professional qualifications and jobs when you submit an application. We encourage you not to disclose sensitive personal information (such as height, weight, religion, philosophical or political beliefs, financial data, sexual orientation, union or political party membership) in your CV or other materials to support your application. Insofar as you provide sensitive personal information, you expressly allow Hotel Carlton to treat such details as specified in this Statement. 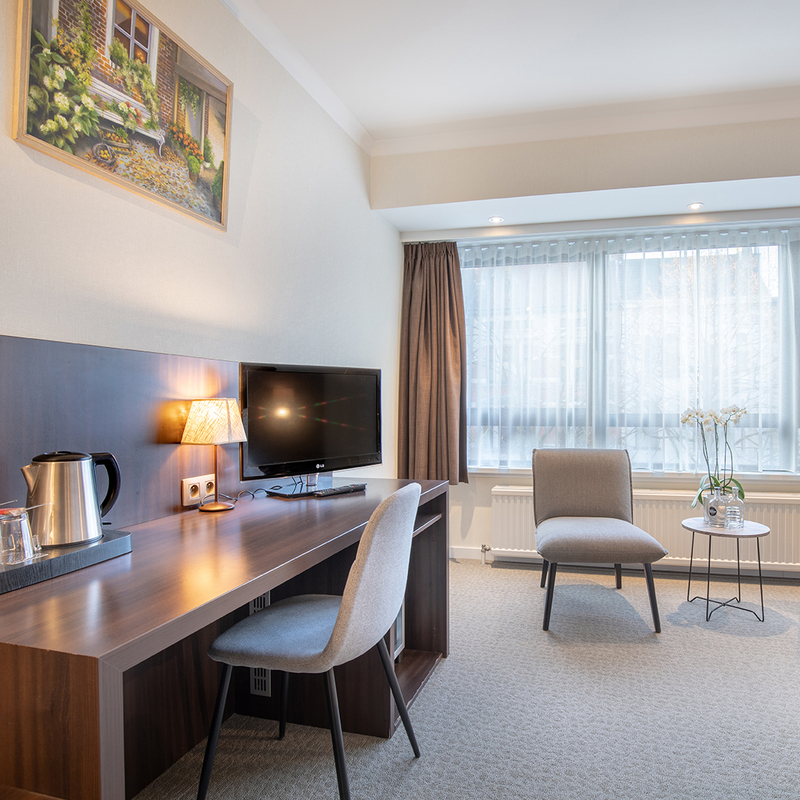 • We will use your personal information for recruitment purposes and if you are offered a job or enter into the service of Hotel Carlton we will use it for other work-related purposes. • We may also retain your information after the recruitment process has been completed in order to contact you about potential future opportunities for a period of three years from the date of your application. However, we may retain your data in an anonymous form for longer periods for statistical purposes. The functional cookies are the cookies that facilitate the functioning of our Website and make it more pleasant for the visitor and ensure that you get a more personalized browsing experience. For example, it is the cookies that remember your language preference and your client segment, as well as the cookies that, for example, keep track of whether you have already been asked to participate in a survey so that we do not submit the same survey every time. You can set your browser to notify you when a cookie is placed or cookie collection is not possible. If you make it impossible to place cookies, there is a chance that certain functions of the Website will not work or that you will not be able to use certain services of the website owner.